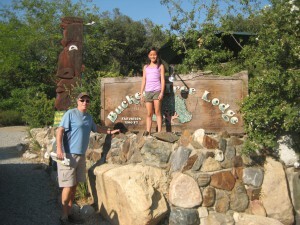 Sequoia National Park offers all types of different lodging, so everyone can enjoy. Whether you want to camp or stay in a cabin, you’ve got that. 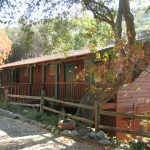 If you want to stay in the park at a lodge or stay minutes away from the park at a quaint Inn, you’ve got that, too. 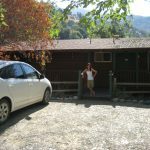 We stayed at a small, but nice motor lodge outside of the park, along a river in a town called Three Rivers and loved it! 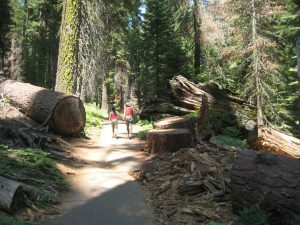 Here are some good Sequoia National Park choices of lodging and dining, as well as Kings Canyon. 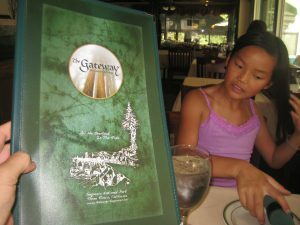 I’ll share some pictures of where we stayed and dined at, too! 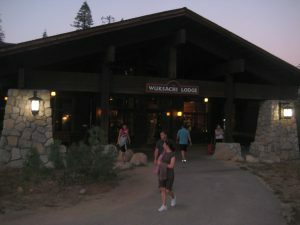 Sequoia’s main lodge was built in1999 and is still considered to be rustic, while still being nice. 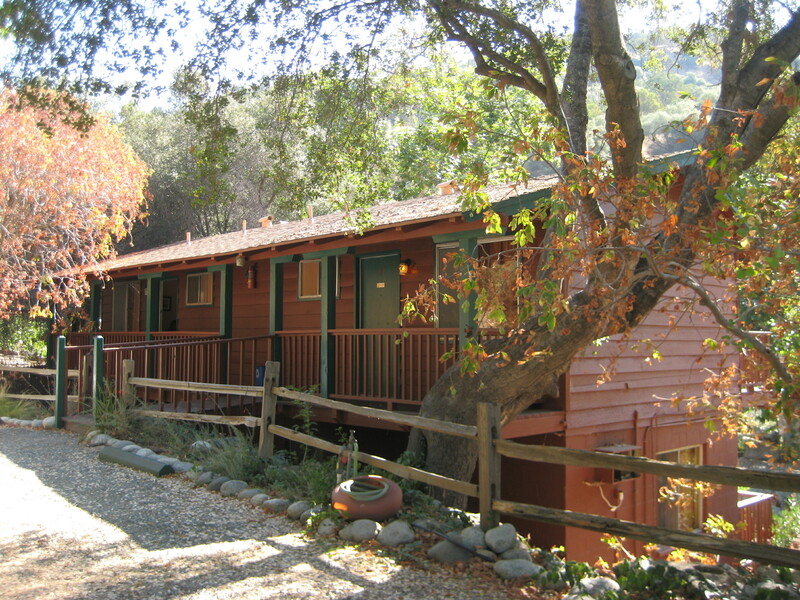 Located right in the middle of the forest, you’ll sleep practically under the big Sequoias! 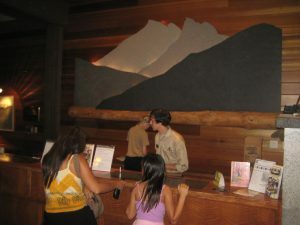 The lobby is beautiful with a stone fireplace, natural wood and spectacular view of the park. Full service restaurant and a cocktail lounge is inviting, as well! Rooms are modest, with coffee makers and mini fridge. You’re staying here for location, location, location. 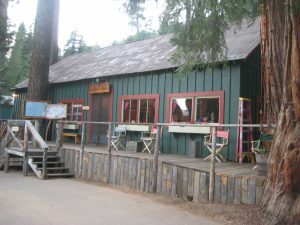 866-807-3598 Located at 64740 Wuksachi Way, Sequoia. Glamping (“glamorous camping”) is all the rage and this one is truly special! Open mid June until early October. This Camp or Glamp doesn’t come cheap, but does comes with three gourmet meals and that’s rare and awesome. There are 32 tent cabins, all with comfortable beds. The location is a walk-in camp and isn’t easy to get to. That’s what makes this camp so exclusive. Nestled in the woods and away from other tourists is what makes this experience worth it! 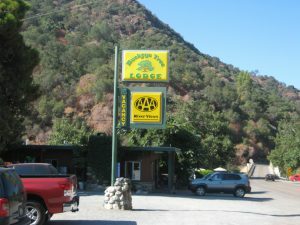 559-565-3672 Located at 65745 Big Meadow Road. This is where we stay and absolutely love it here. 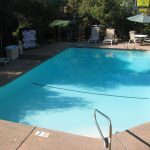 Minutes from Sequoia Park entrance, next door to the Gateway Inn and situated on the bank of Kaweah River. This lodge has 11 rooms, all have a patio or balcony and all facing the river. The grounds are huge, with a big green lawn, pool and picnic area overlooking the river. Rooms are clean, beds are inviting. Continental breakfast is offered, as well. 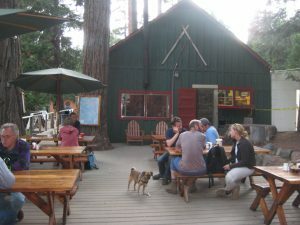 This small resort is in a remote area of Sequoia National Park, minutes away from my favorite valley of Mineral King. 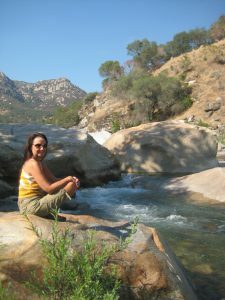 We stopped here on our way back from the most magnificent hike to Franklin Lakes, which I wrote about on my previous blog. The really cool thing about this resort is that it’s one of the oldest alpine settlements in the western United States. 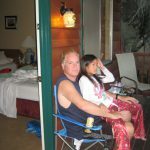 I never stayed there, but would to, so this blog will come in handy. You’ll love staying there for sure!